Business security refers to the measures you put in place in order to ensure that only the authorised parties have access to your assets, systems and premises. Most organisations, regardless of its operations or industry, tend to hold a lot of data and valuables, and therefore it is crucial to have a regimented security process in place to ensure these won’t be compromised by malicious acts. When done right, business security practices can ensure your organisation and its facility are protected from theft, cyber-attack, vandalism and more. This doesn’t just refer to the physical premises, but also to technological systems within your facility. With the implementation of GDPR, cyber security has become a focal-point for most businesses, and while this is absolutely necessary, physical security is just as important and yet often overlooked. Burglaries are consistently a concern, and now more than ever businesses should be implementing measures to prevent such crime. Source: Home Office, Crime Against Businesses: Findings from the 2017 Commercial Victimisation Survey. As demonstrated in the table, some industries are more susceptible to crime due to the nature of their business, and so while physical business security should be a top priority for all businesses, there are some industries that should be doing more. If your business was to suffer a break in or theft, you’d probably expect your insurer to step in. However, insurance providers are much less likely to pay out if your business hasn’t taken necessary precautions. So, what is the best practice for managing physical business security? Anywhere that sensitive data is held, or important and valuable assets, such as stock and cash should be protected by effective security protocols. Biometrics is one of the very best and most secure ways to restrict access to physical areas of your business and to therefore barricade your important assets from potential attackers. If you’re not familiar with biometric security, then this is where biometric devices verify the identity of an individual via their own unique genetics, such as eye-recognition, facial recognition and fingerprint patterns in order for the end-user to gain access to assets, facilities or restricted areas. As an example, when using biometrics in your security measures, an intruder cannot gain access to your premises because their unique characteristics would not have been authorised by the device. Biometrics not only serves as a great data protection tool, but it can be implemented in a host of industries, in a wide range of scenarios.For example, fingerprint readers can be used for authorised personnel to gain access to Government or military facilities, construction sites or commercial properties. In retail they can be used to access cash registers or stock storage areas, or in education and residential industries they can be used for access to sensitive areas such as childcare centres and retirement homes. 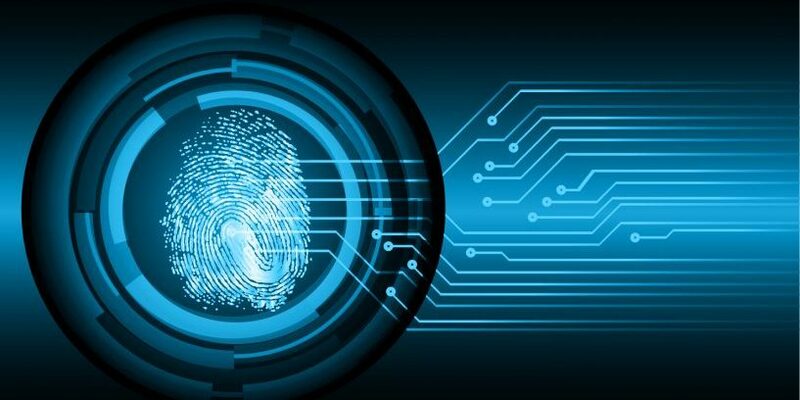 The applications for biometrics in security are almost endless. The reason this is so secure, is that it is near impossible for a piece of biometric data to become compromised. When an image of a fingerprint is captured it is transferred to a control board that hosts the biometric data. To keep the person’s data secure, the actual image of the fingerprint itself is discarded and a mathematical representation of it is created. Once this representation (or ‘biometric template’ as it is known) is created, it cannot be amended and so only the individual with the corresponding fingerprint can gain access to the protected asset. This biometric template is then called upon to enable access through a reader to the end-user when they place their fingerprint on a reader. The level of security that a biometric security system provides combined with the ease-of-use to any number of individuals that have authorised access makes this a best-practice solution when it comes to bolstering physical security and restricting access to any area. If you’re interested in heightening your businesses physical security by implementing a biometric data identification system, we’d be happy to help, get in touch with us today.